An apartment complex on North Bragaw Street was filled with people when two men allegedly broke in to unit 4 Monday evening, opening fire on a man inside. That man was shot in the leg and hip. The two invaders fled the apartment. 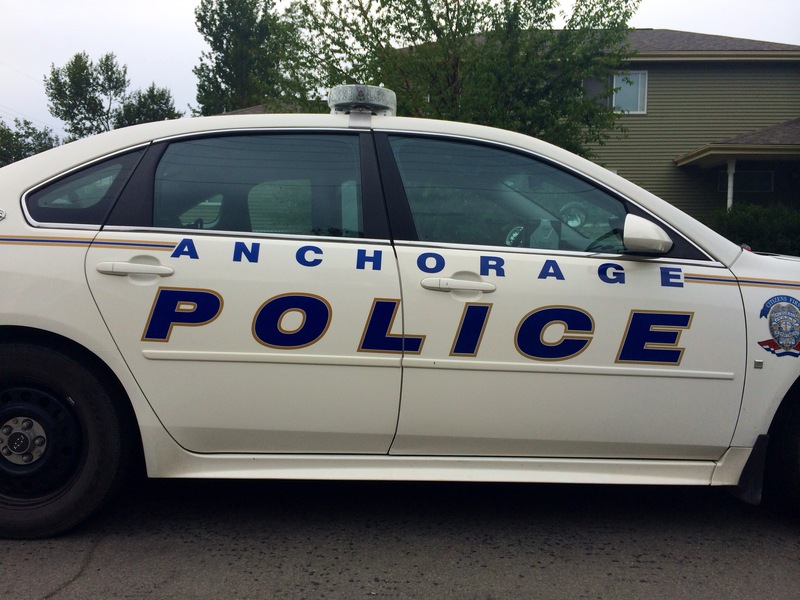 When the Anchorage Police Department arrived at the scene around 5:15 p.m., they found large amounts of money and “distribution levels of drug paraphernalia,” according to Anchorage Police Department Sgt. Steve Childers. But it was hard to get a description of the shooters, Childers said. The victim wouldn’t tell police much. The people who gathered in the apartment complex courtyard afterwards had nothing to say. Potential witnesses were less than forthcoming, Childers said. A half hour after the gunshots, a group of men gathered on a third-floor landing of the 25-unit complex while police waited for a warrant to enter unit 4 on the floor below. A dog rested its head on an open windowsill, watching the scene unfold, and other residents peered out their front doors and leaned up against balcony railings. A girl standing in the parking lot, earbuds shoved in her ears, said she was there when the shooting happened, but she saw nothing and heard even less. “And I don’t really like cops,” she said. A man sitting on the curb in the complex parking lot said he was helping a friend move when a young black man wearing a multi-colored bandana and carrying a gun ran past him and out of the complex. It all happened too fast to really see much else, he said. An hour after the shooting, police cruisers continued to drive slowly around the neighborhood and officers still had no suspects. “Even the neighbors claim they didn’t hear the gunshots go off,” Childers said. Criminal code is stupid….. it is devastating to the victims. The person who murdered my son last week still hasn’t been caught… and it’s because of people like her!!! I bet though if her kid, mom, dad, family member was killed the first people she’d call would be the cops and she’d demand justice! What a shame!!! Disgusting!